Nonsensible Shoes: Ummmm, er, what? Townhall force Hugh Hewitt's getting a show on progressive liberal MSNBC? I get it from Hugh's perspective; de-hypnotizing a lost generation of ultra-leftist youth who have zero exposure to truth and reason. Good luck with that uphill battle Hugh, seriously - I mean that. But MSNBC? They were languishing in the ratings until president Trump won. There's no need to try to attract conservative viewers. Maybe they think they can corrupt Hugh Hewitt to a progressive liberal leftist. 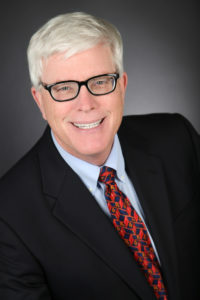 MSNBC, which has been soaring lately in both ratings and in advertising prices, is giving radio host Hugh Hewitt his own show, adding another conservative voice to a lineup that already includes Fox News poach Greta Van Susteren and former George W. Bush communications hand Nicole Wallace. Hewitt's self-titled show will air on Saturday mornings at 8 a.m., starting June 24, as part of an expansion of the network's weekend programming in July. TVNewser first reported the news, which was then announced by the company. In giving Hewitt his own show, MSNBC is sure to raise eyebrows, considering that the network has been doing well mostly on the strength of left-leaning opinion journalists like Rachel Maddow and Lawrence O'Donnell. NBC News chairman Andy Lack is known to favor hard news, and has programmed the network to feature a broader range of editorial opinions in addition to traditional newsmen like Brian Williams. As an aside, note that the story overlooks the fact that if Brian Williams is a traditional newsman, the traditional newsmen ARE the problem.